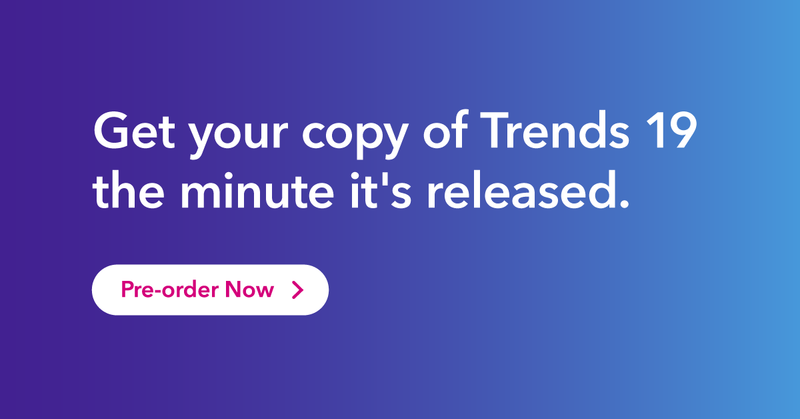 A year on from our report highlighting the trends to watch in 2018, and major industry developments have taken place, adding to the story of the trends we covered. The new kids on the block, Generation Z, have increasingly taken the place once held by millennials among marketers. Gen Z are leading the charge towards new forms of brand-consumer relationships, based around experience and entertainment. This is thanks to the increasing availability of tech-enabled creative tools in programmatic social ad formats, blurring the boundaries between experience and technology. The mobile payments race has also continued at full speed, with Hong Kong emerging as one of the most contested battlegrounds in 2018 between Alibaba-owned Alipay, Tencent’s WeChat Pay and their global competitors Google, Samsung and Apple. While Apple Pay held a firm lead in Q2 2017, its modest growth in uptake has since had to contend with as much as 140% growth from WeChat Pay, and around 380% growth from Alipay. This now puts Apple Pay firmly in fourth position in this market. But of all the trends we covered, the migration of sports broadcasting online has been one of the most high-profile as 2018 progressed. With major TV broadcasting rights deals in the sports industry due for expiry in the near future, not to mention the much anticipated 2018 FIFA World Cup on the horizon, the evolution of sports broadcasting was certainly one to watch. Sports Broadcasting: Late to the Digital Party? The year in sports for 2017 saw a rising momentum of leagues and tournaments dipping their toes into online distribution channels to test the waters. Facebook experimented with broadcasting UEFA League soccer and Major League Soccer games in the U.S., Twitter landed the rights to stream the PGA Tour free of charge, and Snapchat inked a global deal with Formula 1 to create exclusive content during the Grand Prix races, to name but a few. These deals also served to whet the appetites of Silicon Valley companies as many sports leagues looked ahead to the next round of broadcast negotiations. Amazon was also making its intentions in the sports broadcasting industry very clear, joining its Silicon Valley counterparts as well as traditional broadcasters at the bidding table for various rights deals with some success. But with most of the Western social media industry throwing its weight behind bagging sports rights deals, it seemed that social media – and its vast reach – would be at the center of sports’ digital migration. Fast-forward a year, and it’s clear that live sport is still very much governed by its appointment viewing status, and that will likely be the case for the foreseeable future. This is clearly reflected in our data, especially when we compare our latest wave of ongoing research at the time of writing (Q2 2018) with Q2 2017 data. When we look at the average number of sports watched online or on broadcast TV, there has been little change since 2017. 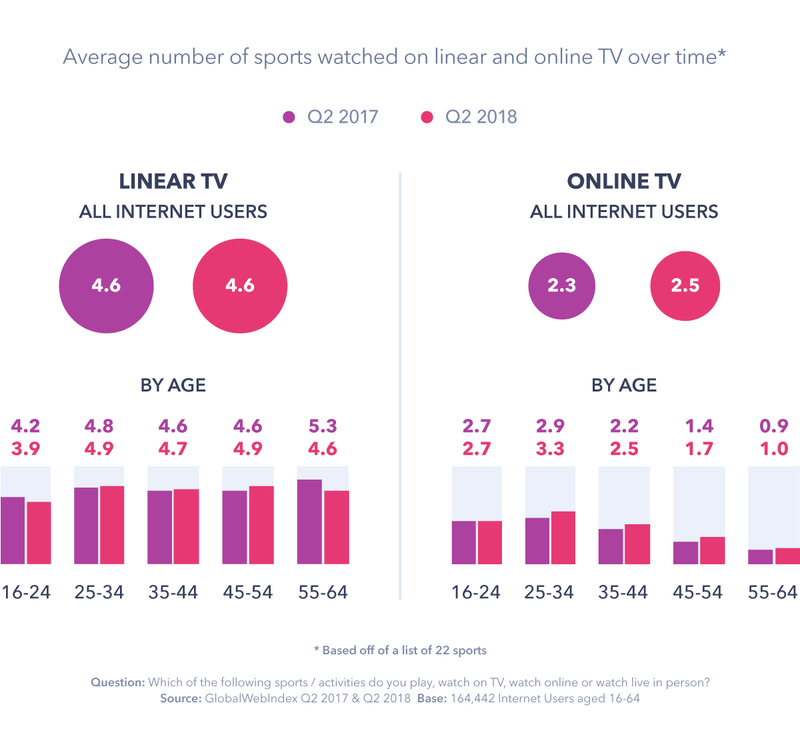 On a global scale, the average number of sports watched on broadcast TV sits at the same figure as it did in Q2 2017 (4.6), and the figure for online channels has edged upwards only very slightly. The bulk of this minor uptick for the average number of sports watched online has come from younger internet users in North America, MEA and Asia Pacific. But that’s not to say that we won’t see more consumers turn to digital to watch their favorite sports. The events of 2018 showed us that technology brands are continuing their unrelenting march towards sports distribution. They also showed us that Amazon is a force to be reckoned with in this space, not least by the likes of Facebook and Twitter. Some of the most important of these developments were Amazon landing exclusive rights to stream 20 Premier League matches in 2019 in the UK, and Facebook fending off rival challengers to acquire the exclusive broadcasting rights for Premier League matches in Southeast Asia. As a UK-based tournament, it’s easy to underestimate the sheer global appeal of the Premier League. But whether it’s sponsorship deals or viewership, the Premier League is one of the most successful and esteemed leagues internationally. Of course we also enjoyed the 2018 FIFA World Cup, under which Fox Sports partnered with Twitter and Snap Inc’s Snapchat to stream coverage and showcase stories with match day highlights. These landmark deals have helped to unshackle sports distribution from free-to-air TV broadcasters and subscription linear TV services. The likes of Amazon, Facebook and Twitter are among the few digital disruptors with pockets deep enough to meet the high costs attached to live sports distribution, even if the Premier League package was sold to Amazon for less than expected. 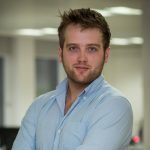 Sport also has one of the strongest reputations among other entertainment genres for delivering large audiences, and these tech companies are among the few would-be disruptors with distribution infrastructures capable enough to keep up with these demands, and that really matters in sports entertainment. As we pointed out in our annual report, rights holders and sports clubs need to deliver content to fans in the most convenient way possible. Technology companies like Amazon and Facebook are able to deliver on this need for convenience. You might expect sports leagues moving online to be a big win for the modern sports fan. But when we step back and consider the current situation in light of recent major deals, this isn’t necessarily the case. Take soccer in Europe for example, where rather than having one destination to keep up with the latest leagues, consumers now overlook a fragmented landscape. Although the theory goes that increased competition in a market can have a positive impact on the price consumers have to pay, this isn’t quite the case in European sports, at least not yet. Sports fans are now faced with the choice of paying more for separate subscriptions from traditional broadcasters and digital subscription services on the one hand, or missing out on some of the sports action on the other. In short, sports fans may in many cases be paying the same for soccer entertainment as last year, but are receiving less content overall; unless they’re already subscribed to Amazon Prime, that is. While Amazon’s deal will no doubt help to swell its Prime subscriber base – and by extension lead to more Prime shoppers on its retail arm – Facebook’s deal is altogether different. Alongside its broadcasting rights for the Premier League in South East Asia, Facebook has also bagged exclusive rights to air La Liga in India, and also both UEFA Champions League and UEFA Super Cup in Latin America. 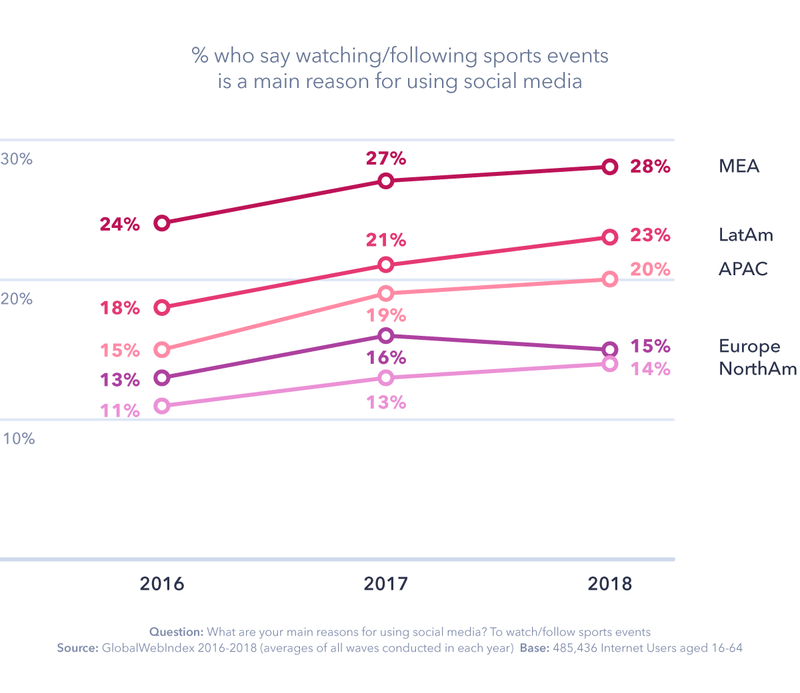 It’s also in these regions where internet users are most likely to say that watching or following sport is a main reason for using social media. These also happen to be among Facebook’s strongest markets. Around 90% or more internet users in markets like Brazil, India, Thailand, Vietnam and the Philippines are visiting Facebook each month. Unlike Amazon’s subscription model, Facebook’s live streaming platform offers viewers the chance to watch these matches free of charge supported by advertising. With such massive reach in these regions, it’s not difficult to see why even more advertisers might come flocking to Facebook, especially considering the wealth of data it can amass on these viewers. While it remains to be seen if Facebook’s model would sit well in European markets where viewers remain more attached to linear TV, the increasing popularity of SVOD services in markets like the UK have allowed Amazon to gain a foothold. If this Amazon deal proves to be a success, there’s every chance the Premier League may look towards other platforms with even more reach in the future, like Facebook. The implications for traditional broadcasters are clear. While they may not like the fact that they’re now at the bidding table with technology companies boasting vast revenue streams, this is the shape of things to come. The complicated bidding war between U.S. media conglomerates Comcast and Disney-Fox surrounding Sky in Europe also has potential implications for consumer wallets. Comcast’s recent outbidding of Fox has sent Sky’s valuation soaring. Sky’s presence in sports entertainment will be a welcome asset in Comcast’s existing sports portfolio under NBCUniversal, especially as competition with Silicon Valley’s ambitions ramps up. This acquisition will also give Sky more financial security in future rights bidding negotiations. But someone has to foot the bill Comcast is willing to pay for Sky, and this often rests on the consumer. Looking ahead, if the increasing presence of tech companies in sports broadcasting does prove successful, major leagues may look to bring in more incumbent online distribution platforms into the mix. This success could also place a higher value on broadcast packages, even if it means more subscriptions for consumers to keep up with every event.